Well, we just took the vote for General Convention Deputy at the Massachusetts Diocesan Convention. I decided to run this year as I recently noted in a post titled In the Running. Of course, the results won't be announced until tomorrow after lunch (how am I supposed to sleep tonight?!). 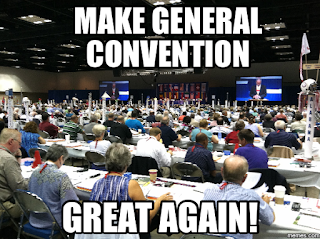 Seven people ran and the top four vote-getters are elected to serve at the Episcopal Church's triennial national convention. All four "incumbents" are running for reelection so the odds aren't great. But again, this is why I decided to run -- to get some fresh voices into the national conversation when it comes to the future of the Episcopal Church. 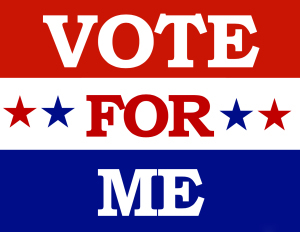 I guess this is too late at this point -- it wasn't clear when in the agenda the voting was going to take place -- but here's why I should be elected! 10. I have no idea how to set up my own e-mail server. 9. I believe "basket of deplorables" is merely a euphemism for "tax collectors and sinners." 8. I'll release my tax returns. Although since they're clergy tax returns, no one will be understand them. 7. I am One. Bad. Hombre. 6. A chicken in every pot? Good coffee in every pot! 5. I'm with her. Wait, what? 4. If elected "deputy" I will officially change my name to "Enos." Because Dukes of Hazard. 3. I will build a wall around my laptop and make the Methodists pay for it. 2. I LOVE really long church meetings and NEVER fall asleep or start Tweeting. 1. 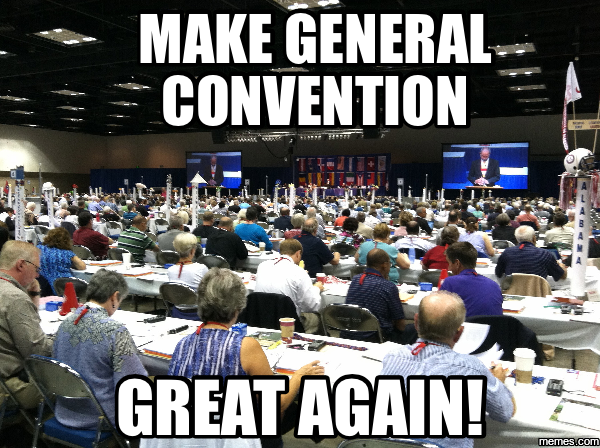 I will Make General Convention Great Again!